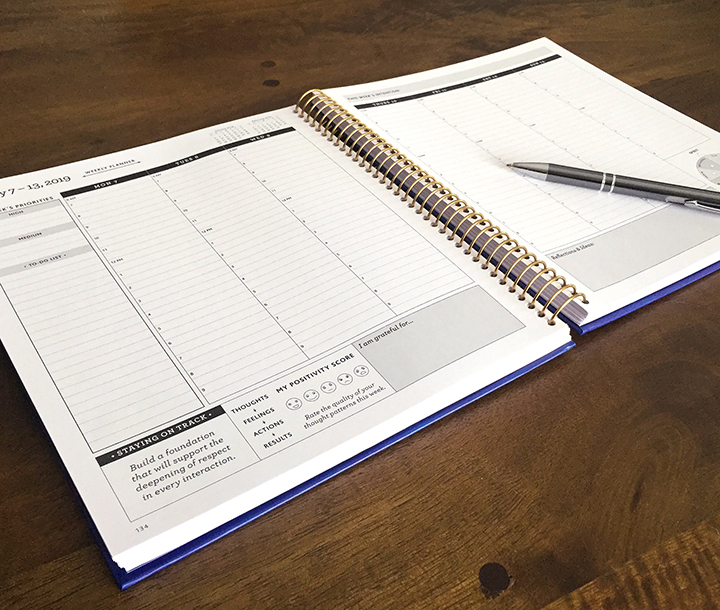 Like a good yearly planner, ours helps you track your commitments and schedule your time. 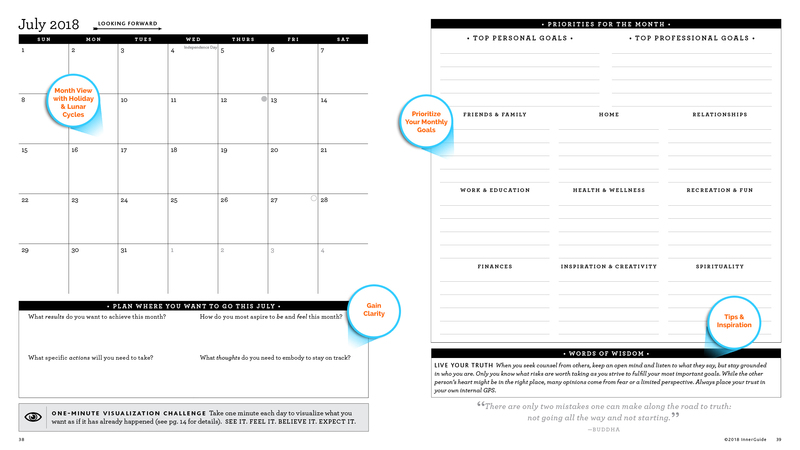 But this planner offers so much more—helping you gain self-awareness and practice gratitude. By better understanding yourself and keeping positive, you’ll inspire and empower yourself to become who you want to be and achieve your most important goals. Create more freedom to do more of what you love. 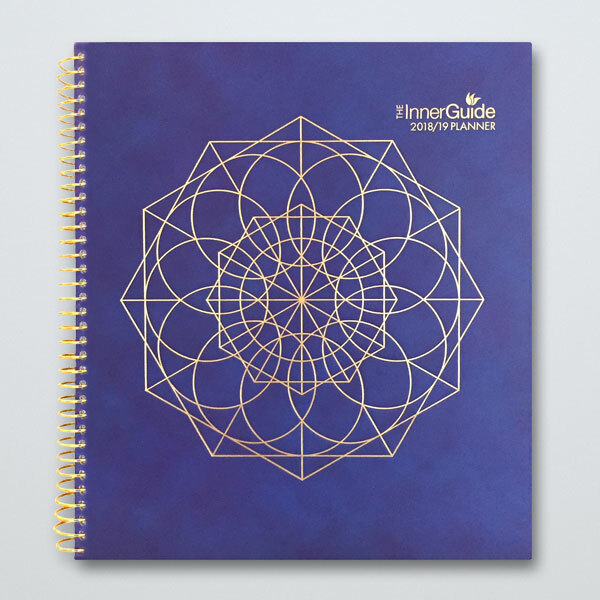 This special edition features a beautiful sacred geometry design that is de-bossed in gold foil! 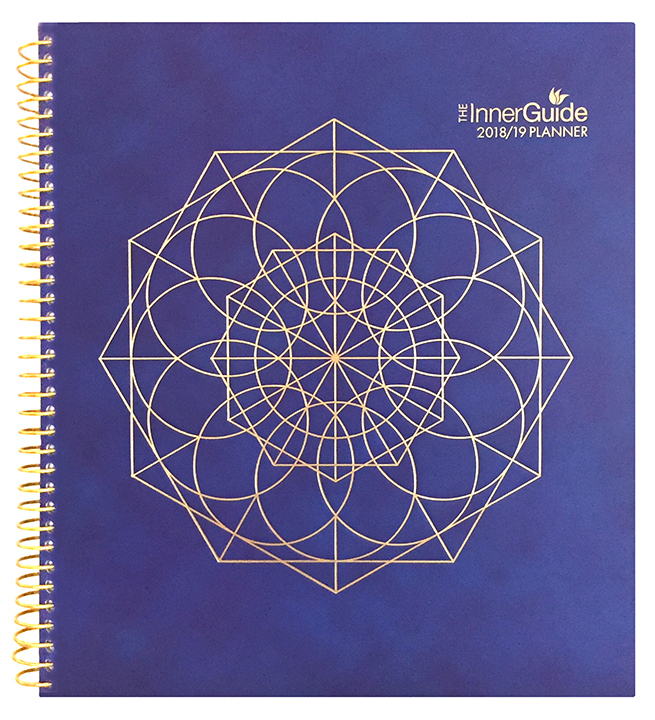 InnerGuide’s 12-month planner inspires you to stay on track with your vision so you can live a more productive, creative and fulfilled life. It helps you focus on both your inner and outer goals to create real change. 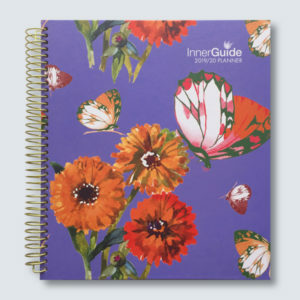 Our planners encourage you to reflect, cultivate self-awareness, and practice gratefulness. 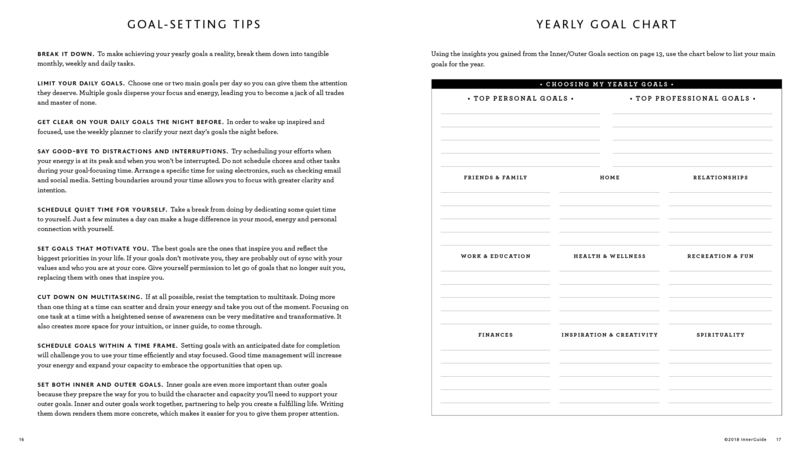 It includes several pages of planning tools and exercises to help you clarify your personal and professional goals so you can lay a strong foundation for a year that reflects the bigger vision of your life. 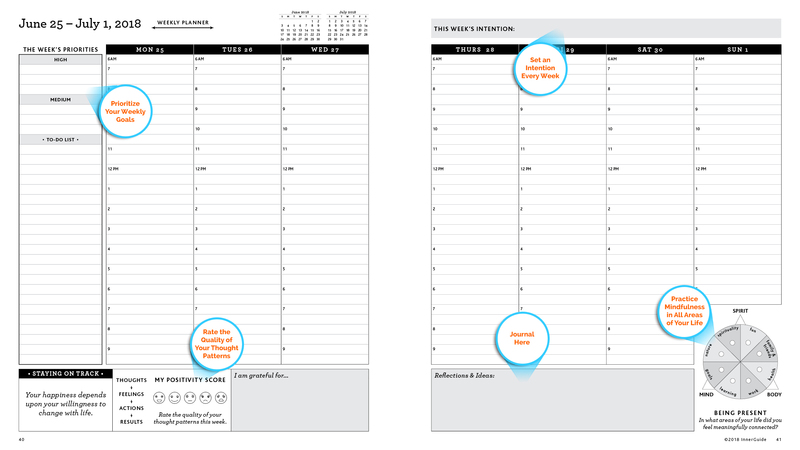 The Planner is offered in two publications: January–December and July–June editions. 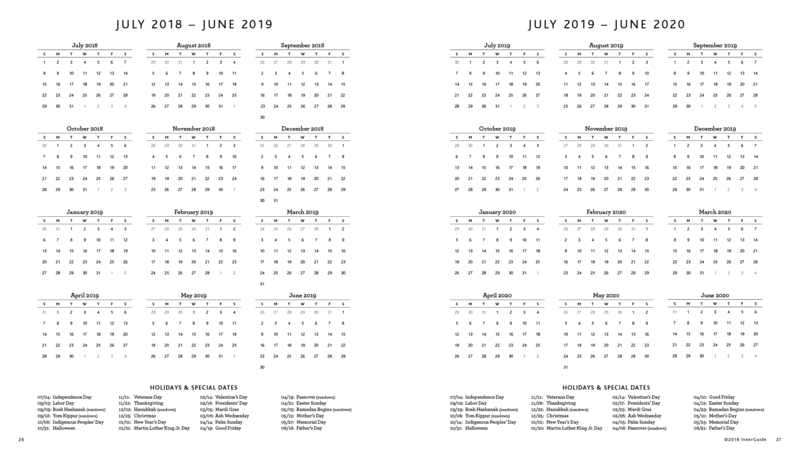 Its easy-to-follow format helps users stay focused throughout the day, week, month and year, inspiring them to live a more purpose-driven life. 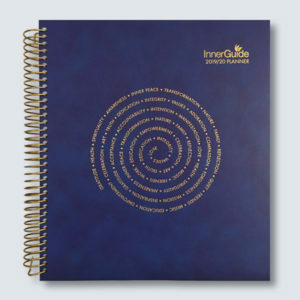 This holistic-style planner combines elements of life coaching, personal development workshops, positive psychology and time management to help you create new habits of success and a deeper connection to your authentic self. 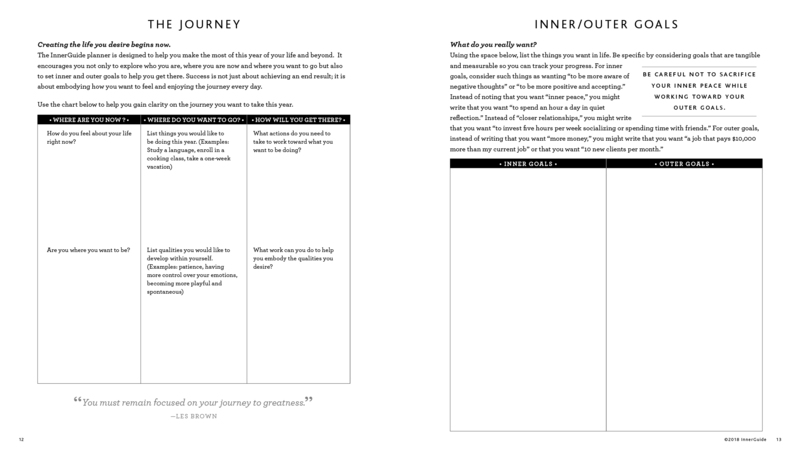 Going beyond a traditional planner, it offers tools to help you turn inward to gain clarity on your life and a structure to help you realize your vision. 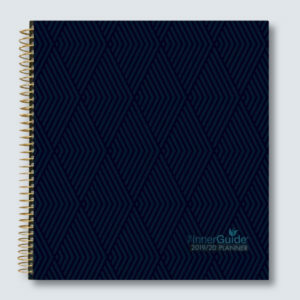 This product is ideal for personal and corporate gifts, human resources departments, the educational sector and any organization looking for a more holistic planner to support its objectives. 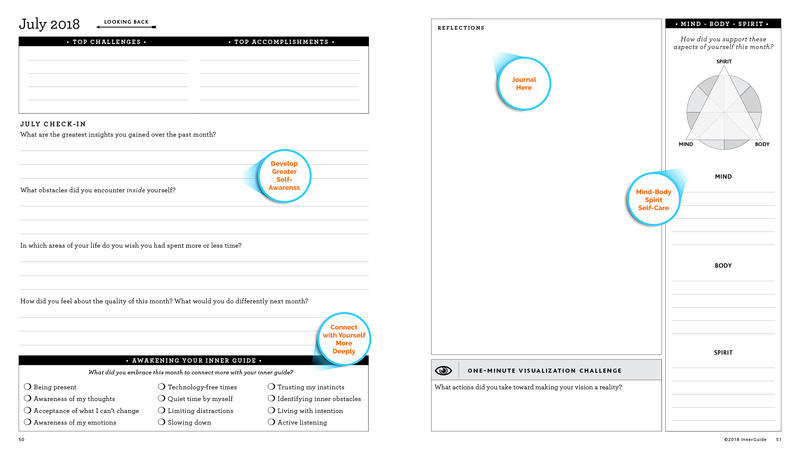 Helps you develop a greater sense of self-awareness. Provides an innovative support system for achieving both personal and professional goals. Assists in establishing discipline and new habits of success. 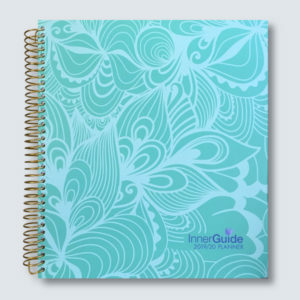 Holds you accountable for both the inner and outer conditions of your life. Motivates you to gain greater control over your time, enabling you to be more focused and productive. When choosing your shipping options, please note that expedited shipping options do not ship on weekends or holidays. Please be aware that choosing USPS First Class International will only track your package up to entry to your country. (We receive a notice that it has been delivered.) After it enters your country, it is the responsibility of your country’s carrier and not InnerGuide. All international orders are non-refundable and non-returnable, so please make sure your shipping address is correct. International orders may encounter additional fees at customs, for which the buyer will be responsible. Delays in customs is not the responsibility of InnerGuide. Please note that in some cases it can take up to 21 days for delivery.